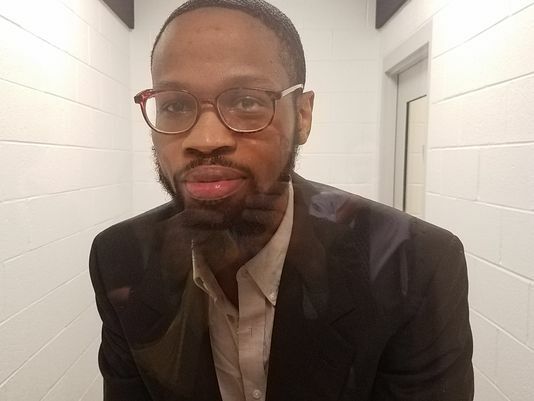 On January 19, 2017, Isaiah McCoy, a former Delaware death row inmate, was exonerated when a judge acquitted him at a retrial. Mr. McCoy became the 157th person exonerated from death row in the U.S. in the modern era of the death penalty and the first in 2017. Mr. McCoy was convicted and sentenced to death in 2012, but the Delaware Supreme Court overturned his conviction in 2015 as a result of prosecutorial misconduct and ordered a new trial. The Court suspended Deputy Attorney General R. David Favata from practice because of his misconduct at Mr. McCoy’s trial. Favata not only belittled Mr. McCoy for representing himself, but he also made intimidating comments to Mr. McCoy during a break in proceedings. Then, Favata lied to the judge about making the comments. Because Mr. McCoy waived his right to a jury for his retrial, Kent County Superior Court Judge Robert B. Young made the decision to acquit based on the lack of physical evidence and that the two alleged accomplices had given contradictory testimony, including one accomplice who received a reduced sentence for his testimony against Mr. McCoy. On February 1, 2017, Rhodes College and TADP will present a panel called A Broken System: Perspectives on the Death Penalty in Tennessee, featuring speakers including Sabrina Butler Porter. Mrs. Porter is one of only two women in the U.S. to be exonerated from death row. In 1990, Sabrina Butler Porter, a 17 year-old mother from Mississippi, was convicted of murdering her nine-month-old son, Walter. She was later exonerated of all wrongdoing and is one of only two women in the United States exonerated from death row. On April 12, 1989, Mrs. Porter rushed Walter, who had already been diagnosed with a heart murmur, to the hospital after he suddenly stopped breathing. Doctors attempted to resuscitate the baby, but failed. The day after her son’s death, Mrs. Porter was arrested for child abuse because of the bruises left by her resuscitation attempts. She was convicted of capital murder and sentenced to death. Her conviction was overturned by the Mississippi Supreme Court in 1992 (Butler v. State, 608 So.2d 314 (Miss. 1992)). The court said that the prosecution had failed to prove that the incident was anything more than an accident. At re-trial, she was acquitted on Dec. 17, 1995 after a very brief jury deliberation. It is now believed that the baby may have died either of cystic kidney disease or from sudden infant death syndrome (SIDS). Mrs. Porter was spent more than five years in prison and 33 months on death row. Sabrina Butler Porter now joins other exonerees in the Tennessee area, including Ray Krone, Paul House, Michael McCormick, Gussie Vann and Perry Cobb. Ndume Olatushani was released from death row in Tennessee in 2012 after spending 28 years in prison and 20 of those on death row. He took an Alford plea, allowing him to maintain his innocence while taking a plea for an immediate release. The list of those sentenced to death for crimes that they did not commit continues to grow, and it is imperative that Tennesseans hear their stories. I hope you can join us in Memphis on Feb. 1 to hear Mrs. Porter’s story and to become educated on just how broken Tennessee’s death penalty system is.